Taupo Tandem Skydiving is New Zealand’s #1 Rated Skydive on Tripadvisor. Operating for over 25 years, they’re the original tandem dropzone in NZ – they’ve thrown over 200,000 crazy people out of our planes! A skydive with TTS is unforgettable – you’ll see volcanoes, coast-to-coast views of the North Island and the incredible shores of Lake Taupo. 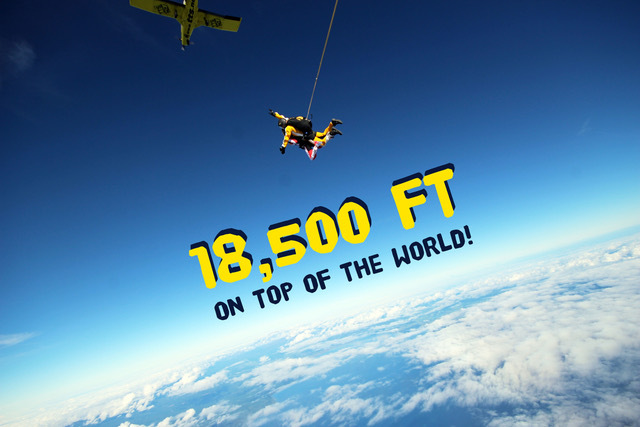 Choose from our four heights – 9,000 ft, 12,000 ft, 15,000 ft or their NEW 18,500 ft skydive for up to 75 seconds in free fall. 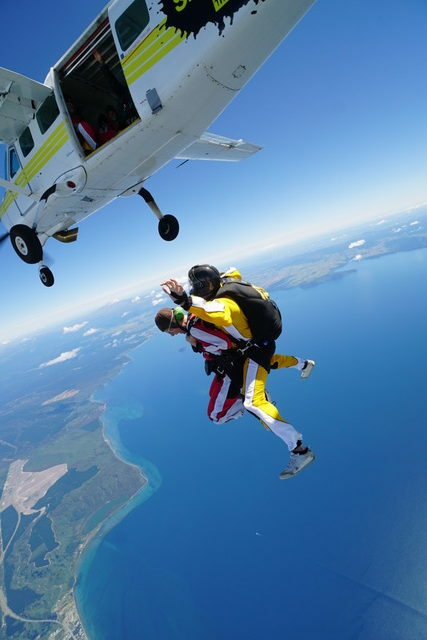 They have the best-priced skydives in New Zealand and even offer complimentary pickups within Taupo and Rotorua. What are you waiting for?! Book with them today! Taupo Tandem Skydive offers 10% discount on their 18,500 ft skydive. You need to be logged in as a member to see the information on ‘How to get your deal’. They operate from sunrise to sunset, 7 days a week, 362 days of the year (weather permitting). Please phone to check availability of the 18,500 ft skydive.